Climbing the crater is like to climb over the Ferris wheel. 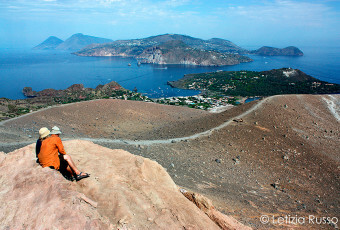 The path you have to go through along the side of the mountain offers charming views upon the archipelago: in the foreground the Vulcanello peninsula, in front of it Lipari with Salina at the left, Filicudi in the distance ( during particularly clear days you can also see Alicudi), Panarea at the right, together with its islands, and Stromboli in the background. The walk is strenuous but natural wonders make the effort more pleasant. While climbing the smell of sulphur becomes stronger, but it is really suggestive to walk upon the reddish soil, rock’s characteristics which constitutes the volcanic mountain. It seem to walk on another planet, or maybe on the border of the ancient Hephaestus arms’ factory. The view from the peak is a good reward for the efforts that the climbing requires. Amazing and charming, the great chasm of Cratere della Fossa Coronata offers, as if it nearly were some special effects on the Shakespearean theatre stage, the sight of clouds made of boiling sulphuric vapours which, emerging from soil, colour the stone of yellow ochre and red colours. 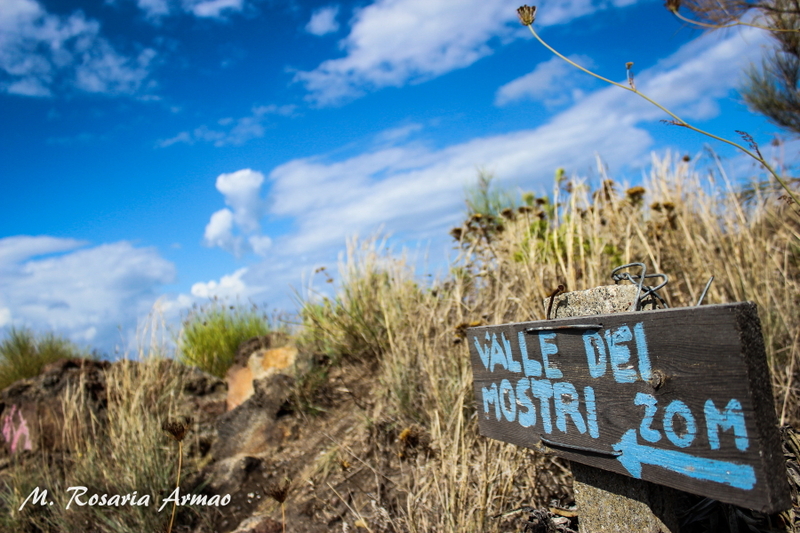 In Vulcanello it is possible to visit the Monsters’ Valley (Valle dei Mostri). It takes name after the suggestion created by an afternoon dim light, by post-sunset, which makes the forms created by the rocks enigmatic. The natural forms of the rocks remind the shapes of animals, monstrous figures, or wild animals. You could never imagine it was possible to find this kind of a tropical corner in a volcanic island, a cove of black sand, so intimate and calm during the day, and so busy and fashionable at night. Such a suggestive place is able to mix one’s passion towards the green of the mountain, and the sea. It is the cradle of all the elements of nature: crystalline water of a pristine sea, warm air of fine seasons, the black soil and the faraway fire of volcanoes, producing quiet hissing sounds. 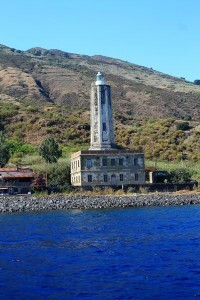 This paradise is reachable by taxi boats, or walking down the steep slope on foot. It is possible to leave the scooter on the main road, to venture then between brooms and prickly pears. The beach is well equipped: there is a dancing platform on the shore, in order to enjoy the moonlight while listening to music in Arabian Nights’ atmosphere. 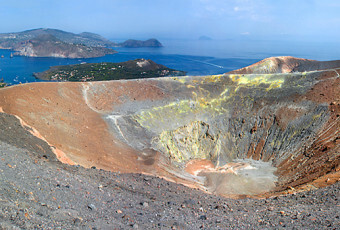 The flow of the subsoil’s energy makes the area of the Volcano Island a special place, because of the presence of sulphuric zones in the offing, adjacent to the zone of hundreds-years-old island’s mud. The refreshing mud spurts out from subsoil, and is used for obtaining benefits for the skin, for bones’ or breathing diseases.